Biometrika is a young and dynamic company founded in 1999. 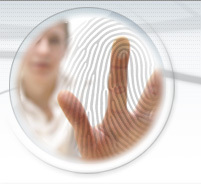 Biometrika's core business is biometric systems. Biometric systems are automated devices designed for the authentication or identification of persons based on physiological characteristics such as fingerprints. Biometrika, unlike most of the Italian companies which are active in the biometric field, is not an integrator of components developed by third parties; in fact, all Biometrika's hardware and software products are completely designed and developed in house. Biometrika's staff acquired several years of experience in designing high-tech security systems, and formed strategic partnerships with several leaders and system integrators in technology. These skills enriched by significant cooperations with internationally qualified research centers, made it possible to transfer inside the company the know-how necessary for the development of state-of-the-art products. Assistenza alla realizzazione del Processo Civile Telematico Project.